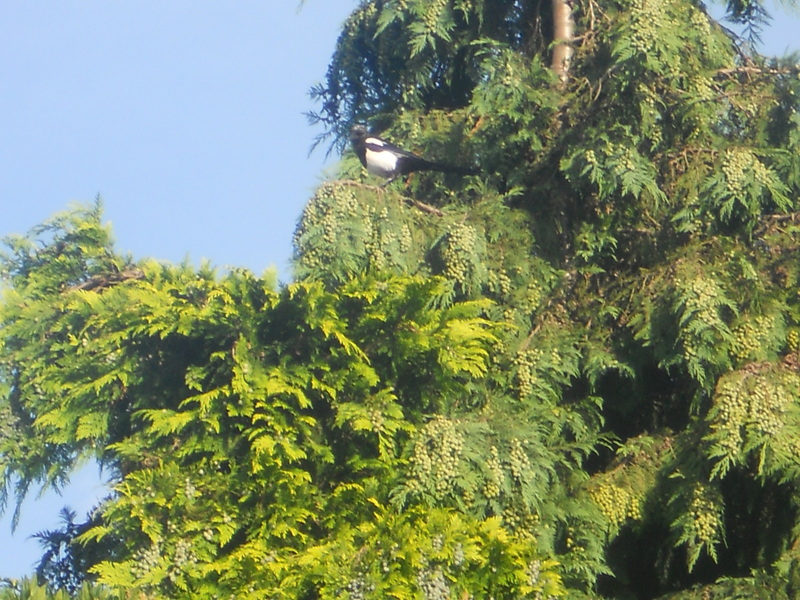 Magpie in tree next to our garden just off Portland Road. Our most exciting visitor has been a SPARROWHAWK and one day we had a visit from over 100 REDSTARTS. I see many twitchers over the country park and the best I’ve seen there is a tiny wren. Normally one of the COUNTRY PARK CROWS rules the roost in this tree bullying off the wood pigeons and collared doves. Magpies usually in position on roof opposite and rarely in tree. No sign of MR. CROW today so magpies having a high old time shaking branches and tweetin away. There’ll be trouble when this gets out – mark my words.